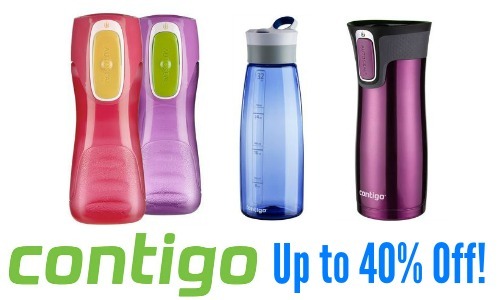 Check out the Zulily Sale to get up to 40% off on Contigo products. If you’re a momma of a toddler, don’t miss out on these! They are great for the little ones to use because the technology prevents spilling and allows for drinking with ease. Offer valid through 3/5. One-time shipping fee then FREE the rest of the day.